Well, I can’t say I am surprised to see them go. 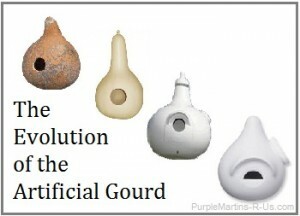 Around for ages, Natureline gourds have finally been discontinued. The company the produced these plastic gourds has gone out of business. Though the company is still technically “in” business until next Friday, there is no stock of any products, so for all intents and purposes, they are out of business already. Natureline gourds were cutting age when they first came out in the late 1970′s (or was that early 80′s?) but compared to what is available now, Natureline gourds fell way behind the times due to failure to continue to integrate new ideas into their product. As a company that sells their product, I always told my customers of the drawbacks of Natureline gourds. Some of these drawbacks were quite significant. For example, the access port was actually the entrance which one was able to pull off to either access the gourd contents or to swap entrances. Sounds cool right? 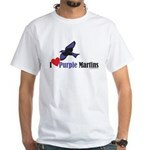 Sure, get martins started in a new colony with round holes, then switch to SREH to keep them safe from Starlings. Unfortunately, just as easy as it was for landlords to open the gourd, owls also were able to figure out how to open the gourds. Landlords were reporting finding the doors pulled off and martins gone. The “viewing port” on the side was utterly useless and was big enough for nothing really. The 2 piece construction invited leaks and though they were a large gourd, there are plenty of better gourds now available. The Natureline line of gourd rack hubs was less popular but no less riddled with problems. The plastic connectors were reportedly easy to break and would crack within a season or two, dropping gourds on the ground. Of course, I should not unfairly disparage the Natureline gourds. These gourds ultimately were a huge improvement over other plastic gourds which are ironically still on the market. Perhaps with a different name or manufacturer but still on the market nonetheless. These gourds are renowned among “true” purple martin enthusiasts, to be nothing short of an owl or hawk buffet line or purple martin death trap. These poor quality gourds are a testament to the martins will to live and reproduce, not to the qualities of the gourd themselves. Which is why we refuse to carry these gourds…they stink. For those that still have Natureline gourds, we still have a very limited supply of Natureline replacement doors. But alas, Natureline Gourds are gone. Making room for much superior gourds to continue to gain traction and help martin landlords host birds.